The photographer says: This dam is a project of the Works Progress Administration constructed from 1936-37. 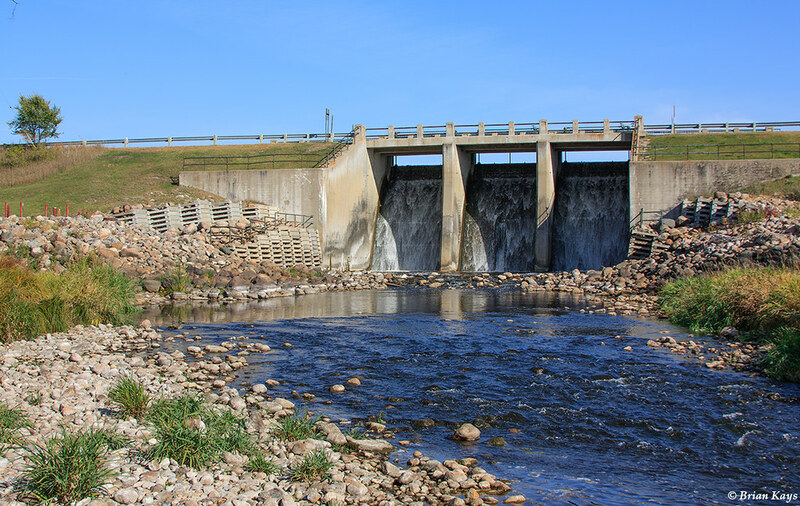 The goal of the dam was to provide a reliable water source for the Kittson County seat of Hallock by damming the south branch of the Two Rivers. The damming of the river created a lake that provides Kittson County and area residents with a Minnesota State Park and recreation opportunities.